We’d love your help. 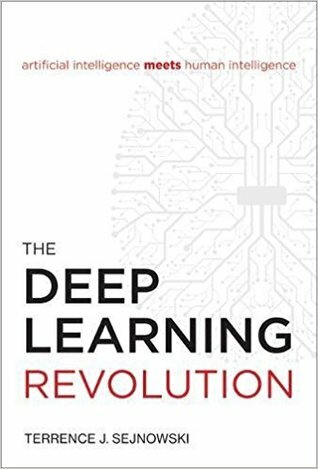 Let us know what’s wrong with this preview of The Deep Learning Revolution by Terrence J. Sejnowski. To ask other readers questions about The Deep Learning Revolution, please sign up. This book is NOT about deep learning. Despite its grand title, this book is strictly a memoir. Since about 1980 Professor Terrence Sejnowski has worked with biologically inspired neural nets. However, his work is NOT notable for the theory behind or the development of deep neural nets (AKA deep learning). As such, this book consists of a very lightweight historical introduction to some of the people who were active in the early days of NNs, and Dr Sejnowski's kinship with them, but little more. Th This book is NOT about deep learning. Despite its grand title, this book is strictly a memoir. The text explains none of the technical details of Sejnowski's work, nor the work of other NN pioneers, nor does the author offer any insights into any future work he anticipates taking place in NNs or in deep learning. Terry Sejnowski holds the Francis Crick Chair at the Salk Institute for Biological Studies in La Jolla, California. He has been at the forefront of neuroscience, the understanding of neural networks and their application in the development of artificial intelligence for the past 30 years. His book is both an enlightening history of this subject and a semi-autobiographical journey of his role and the roles of the other leading participants in this exciting and ground breaking journey in science a Terry Sejnowski holds the Francis Crick Chair at the Salk Institute for Biological Studies in La Jolla, California. He has been at the forefront of neuroscience, the understanding of neural networks and their application in the development of artificial intelligence for the past 30 years. His book is both an enlightening history of this subject and a semi-autobiographical journey of his role and the roles of the other leading participants in this exciting and ground breaking journey in science and technology. The book is written from a primarily academic perspective and much of the content reflects the research carried out since the 1970’s up until the present in leading neuroscience and artificial intelligence research centres in the United States. 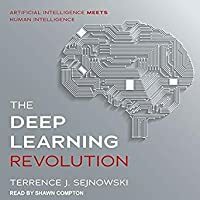 ‘The Deep Learning Revolution’ comprises three sections, each dealing with the key events and dialogues that have taken place up until the present day. A useful summary timeline is included at the start of each of the three sections. Section one summarises recent developments in artificial intelligence, including driverless cars, language translation and algorithmic stock trading to name a few. This is followed by the bulk of this section discussing how artificial intelligence developed by moving away from a functional, rules and logic-based approach to the development of a deep learning model, through the use of neural networks supported by big data. Section two expands on the further development of neural networks during the 1980’s and 1990’s and draws parallels with the functioning of neurons and their synaptic connections within the human brain. This section goes on to develop the concept of machine learning and, in particular, the ability of neural networks to not just carry out tasks but to learn and acquire knowledge as they do (deep learning), becoming both more efficient and increasingly more accurate in what they are asked to do. The question is also posed – how do we humans verify the information the neural network is presenting us with, if it is teaching itself? The third and final section of the book looks at developments in machine learning since the turn of the century and what the impact of these may be in the future. The role of big data is highlighted; focusing on the ability of artificial intelligence to consume this and learn from it in a way that the human brain is unable to. The increasing interest and levels of investment by the big technology companies – including Apple, Amazon, Google and Facebook is discussed, with the associated implications this has for the choices offered to their customers by algorithmically generated content, services and product suggestions. In summary, this book is good value for money and provides a well-informed history of deep learning and how got to where we are. It poses some thought-provoking points as to what happens next, the challenge for us will be working out where we fit in. I disagree with the other reviews that state this is purely a 'memoir.' It is more than that. Terry describes the evolution of neural networks and the personalities that helped the field along the way. He was a part of it, hence the 'memior' theme, but goes beyond his own contributions and neatly outlines the evolution of the idea from both personnel and theoretical perspectives. This won't teach you how to perform deep learning, but will help you understand how we got to where we are today. Half of this book consists of Sejnowski flattering himself, the rest of the content is poorly explained. I learned nothing from this book that I did not already learn from much easier readings. This book is nothing but a waist of paper. Very well written and informative book. Highly recommended. One of those books that is less about the subject but more about a personal memoir from a towering figure in the field about the field as it progressed over time. Enjoyed it a lot! Good for an overview for history, concepts, etc. This book doesn't explain the math behind any theory though. It just talks about their history, implications, problems, etc. Terrence Joseph Sejnowski is an Investigator at the Howard Hughes Medical Institute and is the Francis Crick Professor at The Salk Institute for Biological Studies where he directs the Computational Neurobiology Laboratory. His research in neural networks and computational neuroscience has been pioneering. Sejnowski is also Professor of Biological Sciences and Adjunct Professor in the Departments o Terrence Joseph Sejnowski is an Investigator at the Howard Hughes Medical Institute and is the Francis Crick Professor at The Salk Institute for Biological Studies where he directs the Computational Neurobiology Laboratory. His research in neural networks and computational neuroscience has been pioneering.